Keysborough Golf Club's teaching professionals are fully qualified P.G.A. Members of Australia. (Director Of Golf) AA Qualified PGA Professional. Christie comes to Keysborough after having spent the past 3 years coaching full time at Melbourne Golf Academy. She has a passion for working with children and conducts all the junior clinics at Keysborough. Christie's desire as a coach is to see her students learn and improve their skills. She is committed to delivering simple, clear and concise information whilst using all of her knowledge and available resources to ensure that her clients reach their full potential. At the end of the program the children tackle the golf course. The members love nothing more than to see all the fresh young faces out there enjoying their golf. Tailored packages are available to suit your personal needs. Members of the public are more than welcome. 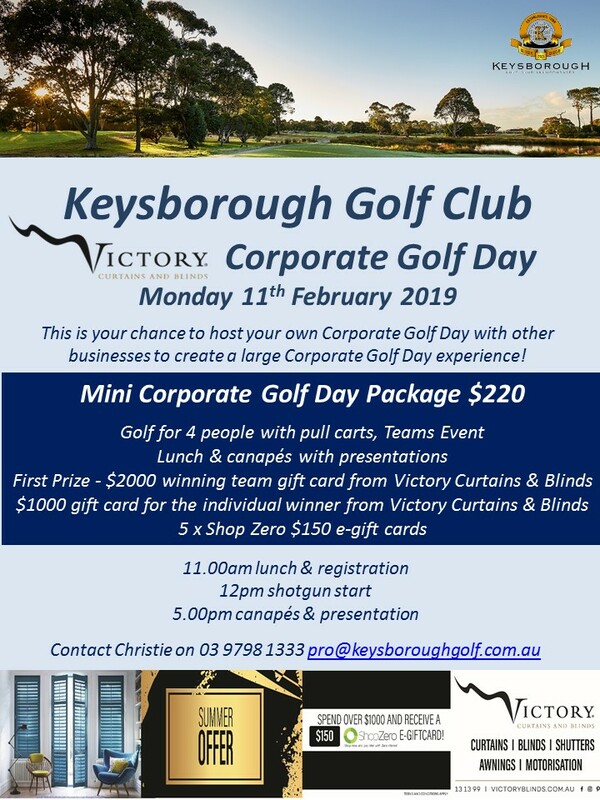 To make a booking, please contact the Pro Shop on (03) 9798 2436.